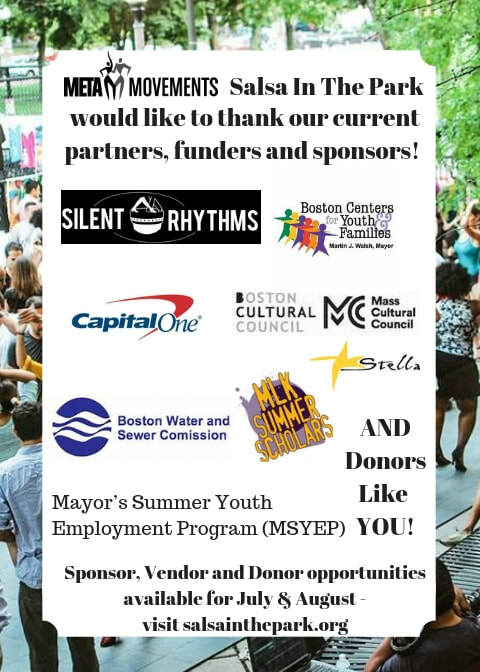 Meet our current Sponsors, Partners, Vendors & Donors! If you are interested in any of these opportunities, contact us to submit your interest! Your funding will go directly into all these costs so that we can make Salsa In The Park a lasting reality for more youth in the community! Look for the donation boxes throughout Salsa In The Park. All donations are welcome! Click Here for BDA's Fiscal Sponsorship page, from which you can select MetaMovements Community Projects as the beneficiary. Donations are tax-deductible, and can be made easily online. We also accept donations of goods and services. Boston Water & Sewer Commission's Water Trailer! Our Boston arts programming is supported in part by a grant from the Boston Cultural Council, a local agency which is supported by the Massachusetts Cultural Council, a state agency. Our Cambridge arts programming is supported in part by a grant from the Cambridge Arts Council, a local agency which is supported by the Massachusetts Cultural Council, a state agency. Our Somerville programming is sponsored in part of a grant from the Somerville Arts Council, a local agency supported by the Massachusetts Cultural Council. 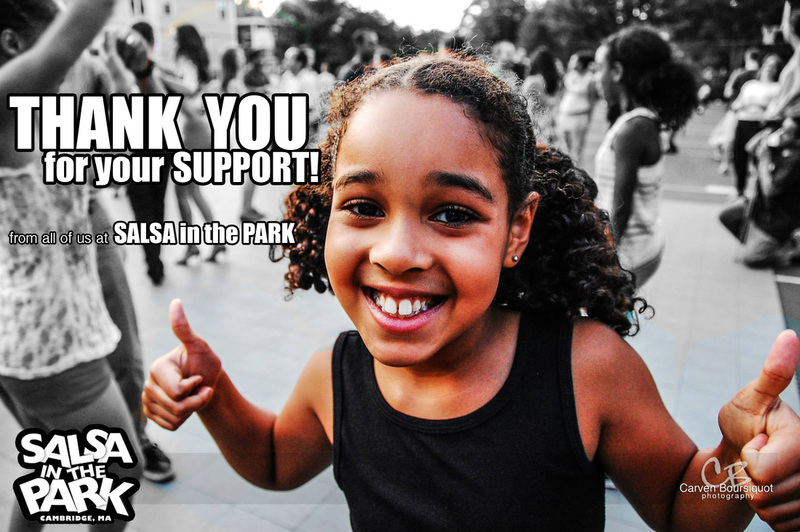 Reach a local audience of 1500 per week this 2019 season through Salsa In The Park! Contact us today!! !